Last evening I returned to the bar for some supper and joined two charming guys from Birmingham, and discoverd one of them was a member of the pilgrim forum I belong to, going by the byline of @musicman. I really shouldn’t have ordered a menu del dia, I hardly did justice to the huge amount of food. A single plate and a glass of wine would cost the same, but I wouldn’t feel guilty about leaving half of it. There are at least seven other pilgrims staying in the village but not at the albergue. Everyone who was staying at the albergue had settled or was settling into bed when I returned at 21:20 so I got myself sorted out to retire. But I can’t sleep at that silly hour, and if I did I would wake up a few hours later – which I always do anyway. I generally wake for the first time around 01:00 and then regularly every couple of hours until I give up trying to sleep and read for a while. Most of the pilgrims left early and only my Hungarian (not Bulgarian) room mate and her walking companion remained when I left at 07:30. It was a grey morning but apparently was due to brighten during the day. After a short stretch on the road we were diverted onto country tracks meandering through holm oak meadows, with lots of beautiful flowers lining the path – an incredible amount of lavender and the broom beginning to flower. Luckily the track was sandy, so although there was a lot of water hanging around after yesterday’s downpour, it wasn’t really muddy. There are a new type of granite marker blocks along the route today, I’m not sure what they denote – my notes don’t tell me, but they are very handy to sit on when the desire arises. That was it really today – almost the entire walk of good-ish track through meadowland – and another short day for me because I have a troublesome blister that I am hoping will be on the mend by tomorrow. The albergue accommodation is within the Casa de Beneficencia de los Esclavos de Maria y de Los Pobres, a religious (monastic) institution for men with learning difficulties. It is huge and freezing. The hospitaleros obviously think the same about the morning pong as I do and all the windows were open – it smelled fine, but it was so cold. I had arrived by around 11:30, but they don’t admit pilgrims until 13:00, so I found myself a chair and sat down to make a start on this post. 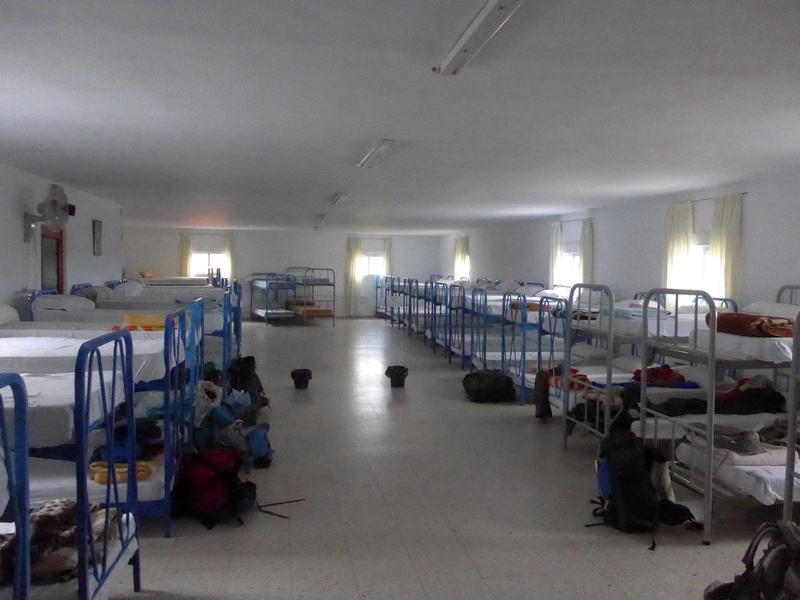 There is a huge dormitory for 60 or 70 and a room with shower cubicles and another with toilets. In my opinion all albergues should work on this principle rather than having individual complete bathrooms. That model just causes everyone to have to wait for the loo whilst someone is taking their time having a shower. The property is locked up between 14:30 and 16:30 so pilgrims are either locked in or out. I chose out so that I could hopefully get this posted early. We can take part in a guided tour of the monastery at 18:30, a mass at 19:00 and a communal dinner at 19:30. Payment is by donation for bed and food. I’ve had lots of questions about the state of my feet. I have had a series of small blisters around the base of my heels, which I am sure are caused by friction where the insole of my boot meets my foot. These blisters form deep under thick skin and are difficult to drain because as soon as I puncture the surface with a needle, it closes back up. I have finally mastered the art (look away if you’re squeamish) of pulling the skin away from my foot with the needle and then making a small cut with my scissors. Not very hygienic but no problems so far. This way the blister stays drained and they have all settled down now. I am going to place some hikers’ wool around the area each morning in the hope that this will prevent a recurrence. I also have a couple of ‘normal’ blisters on the inside of my big toe and the one next to it. This was my own fault and I think I have it sorted now. Tomorrow will tell. I shall have to report on the rest of the day tomorrow, as I won’t have access to internet once I return to the monastery. This entry was posted in Camino de Santiago de Compostela, Camino Mozarabe and tagged Camino blog, Camino de Santiago blog, Camino de Santiago de compostela, Camino de Santiago., camino Mozarabe, travel, Via de la Plata. Bookmark the permalink. A nice easy day by your standards Maggie. I was worried you’d be a bit lonely when Super George left you but you’re fine. That is my worry about walking the Camino, that I’d be on my own but not so apparently. My other worry is that I’d lose my way and be walking in circles for hours (my sense of direction is non existent) But you have reassured me that all will be well. Hope you have some Compeed for the blisters. Do you carry some books for reading in the wee small hours when you can’t sleep? Buen Camino. Maggie, Have you ever tried toe socks? Socks with toe coverings like a glove. They allow free movement of the toes and are supposed be good at preventing toe blisters. I bought some and have been wearing them for local hiking. Haven’t done any long distance yet. So far, I like them. In his book about his Shikoku pilgrimage, ‘The Way of the 88 Temples,’ Robert Sibley mentions he was having problems with toe blisters. A Japanese woman gave him a pair of these socks which very well worked for him. He got three pairs and walked the rest of the 800 mile pilgrimage toe blister free. Maggie see my post re the alberge at the Embalse de Alcantara its CLOSED, I’m still trying to come up with a plan. Everyone here taking the bus!! Hi Maggie. Did you get “fitted” for you boots,or did you buy online? What socks are you using?And what about the insoles,did you purchase or did they come with the boots ? I do hope you don´t mind the questions. Of course, a glass of aguardente to “sterilise” the needle and scissors is a good idea,imbibing a few more after the surgery might help with the sleep also ! Maggie ..quick question ..if you only take an iPad how do you upload your photos ? do you have a problem charging multiple devices ? 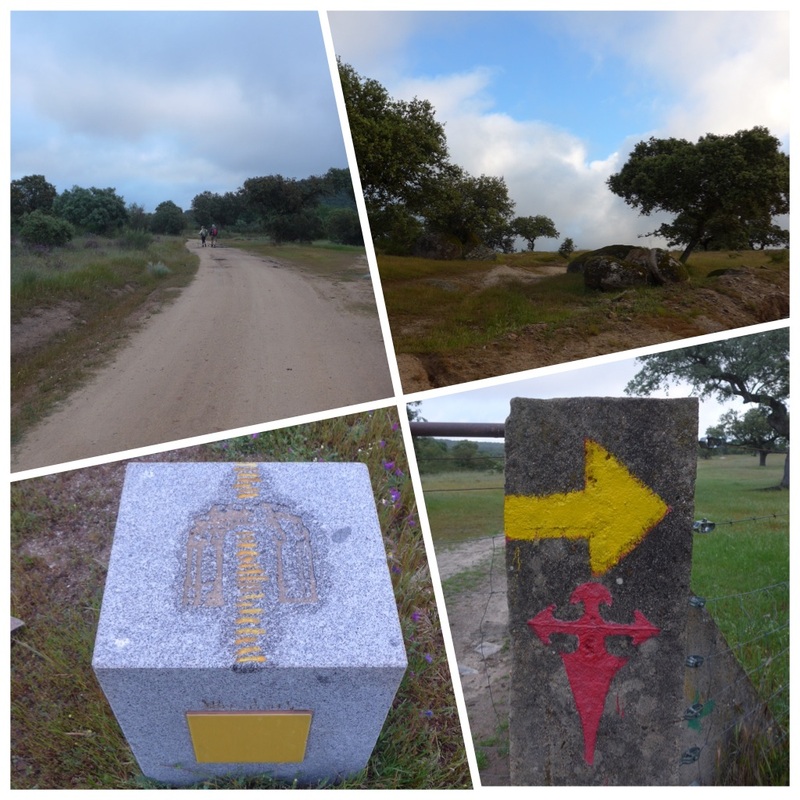 am planning for Camino Frances in June ! I’ve been following your adventures religiously Maggie, I am in awe of what you have done in the past and of your latest camino too. 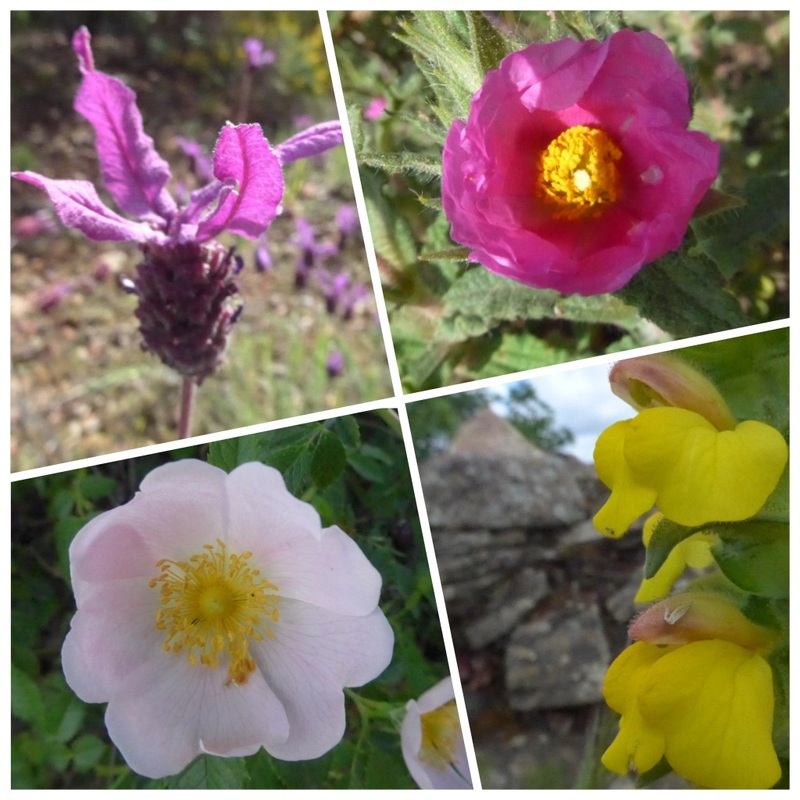 I am loving your photographs of the wild flowers – do you know the names of these flowers at all as I am totally useless when it comes to identifying the flora unless it is really well known. Hello Maggie, I had a hello from David a few days ago and plan to meet up in dec. Your blog is inspiring considering the many difficulties you have overcome, and all in parallel. Today is the last day of my mini spiritual journey, 2 weeks doing the sites in Rome while walking 6 to 8 hrs daily. Good luck for the rest of your pilgrimage, I will be following it from Freiburg in Germany. Hi Tony, I hope you had a fulfilling journey. I would love to meet up when you are next around. Thanks for your support. You really progressed well the last days. 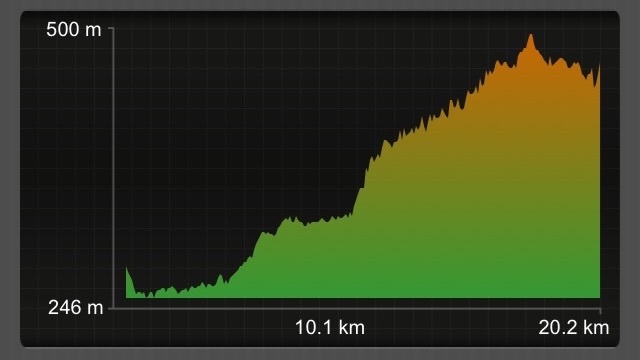 Awesome 45 kilometers to Merida. It seems that Poor George is now well ahead of you. Go, Maggie, go! We are walking with you, in spirit at least! Hi Maggie, I’ve put in a very short day and will stay in Casar de Cacares. 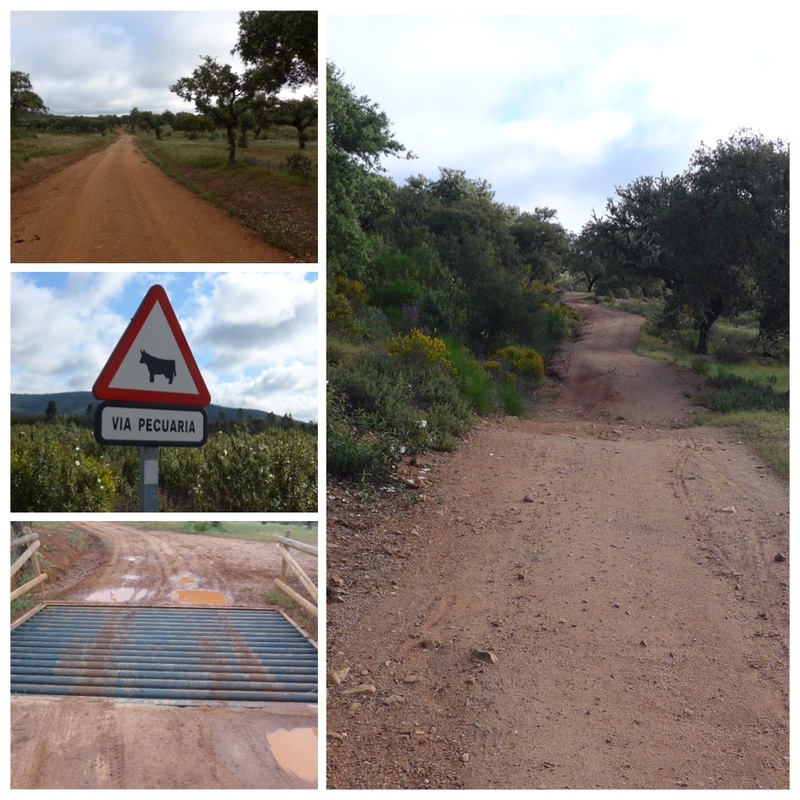 Then the next day is a 32 km day to Canaveral, followed by 35kms to Carcaboso. Hope your foot problems are not holding you up.